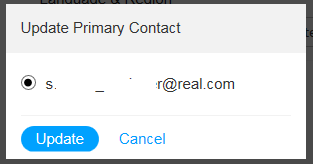 Can I change the email address I use for my RealTimes account? 1. Verify your current email address. - Go to https://realtimes.real.com/myaccount. If you are not already signed in, sign in with the current email address and password associated with the account. - On the next screen, click the Verify link next to your email address. We will send an email to you with a link you must click to verify that you are the owner of the account. Click the link and return to the account page. If you no longer have access to this email address, please contact customer support. 2. Add your new email address. - Under Emails, click the Add Email link and enter the new address. - We will send an email with a link to verify that you are the owner of the new email address. Click the link and return to the account page. 3. 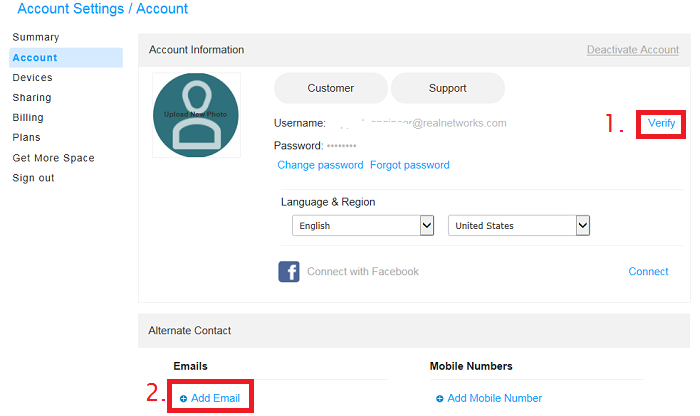 Change the primary email address for your account. - Click the Change Primary link next to your old email address. - A window will pop up displaying the choice(s) available. Click the dot next to the email address you want to use for your account, and click Update. - You should now see the new email address listed at the top of the account page.